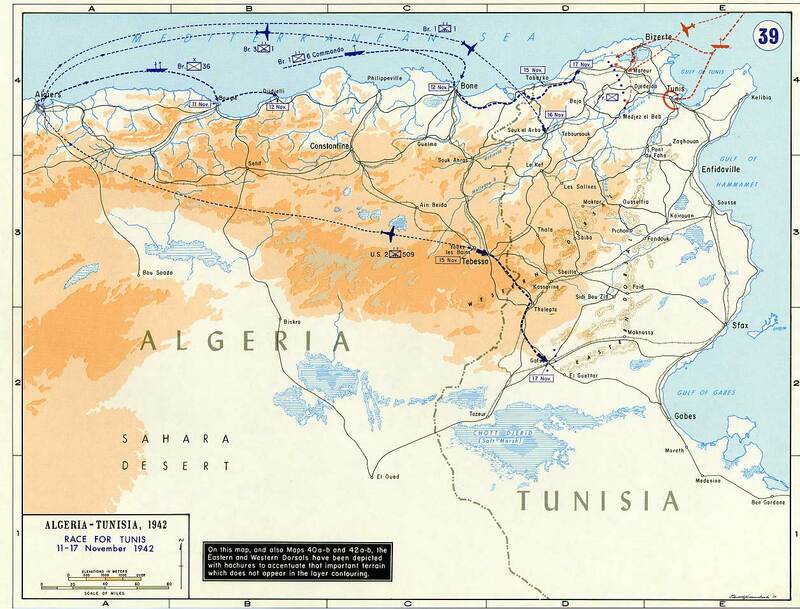 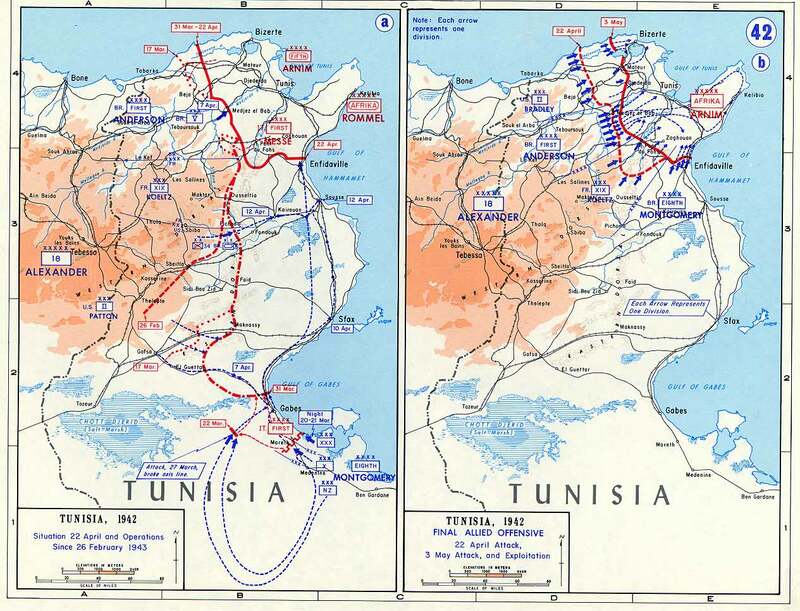 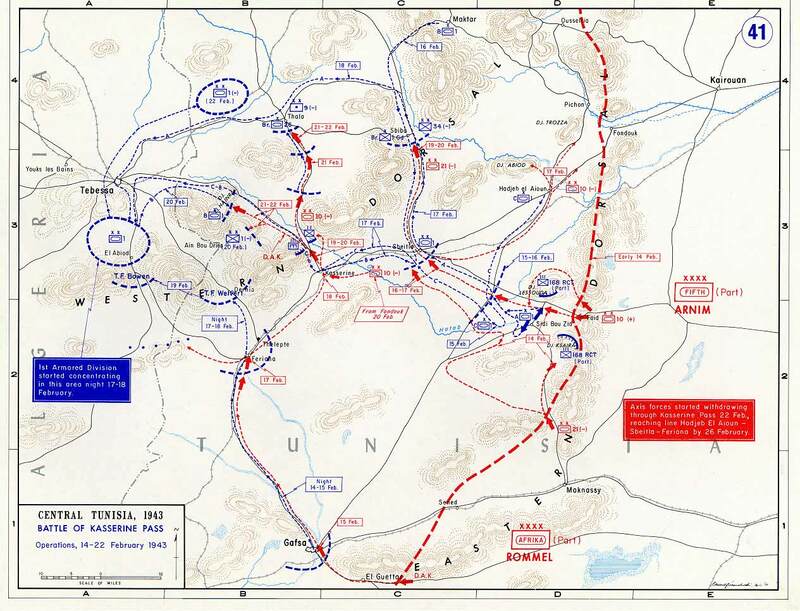 The Tunisia Campaign – November 17, 1942 – May 13, 1943 – (also known as the Battle of Tunisia) was a series of World War II battles that took place in Tunisia in the North African Campaign of World War II, between Axis and Allied forces. 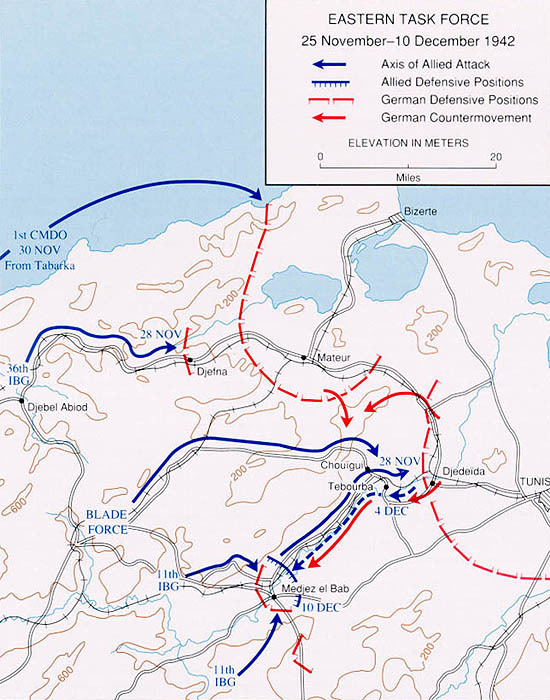 The Allies consisted primarily of American, British Imperial Forces and the French Army. 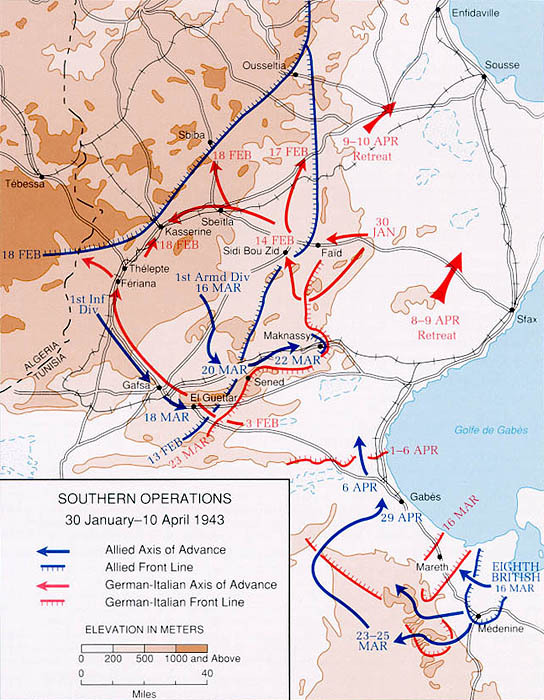 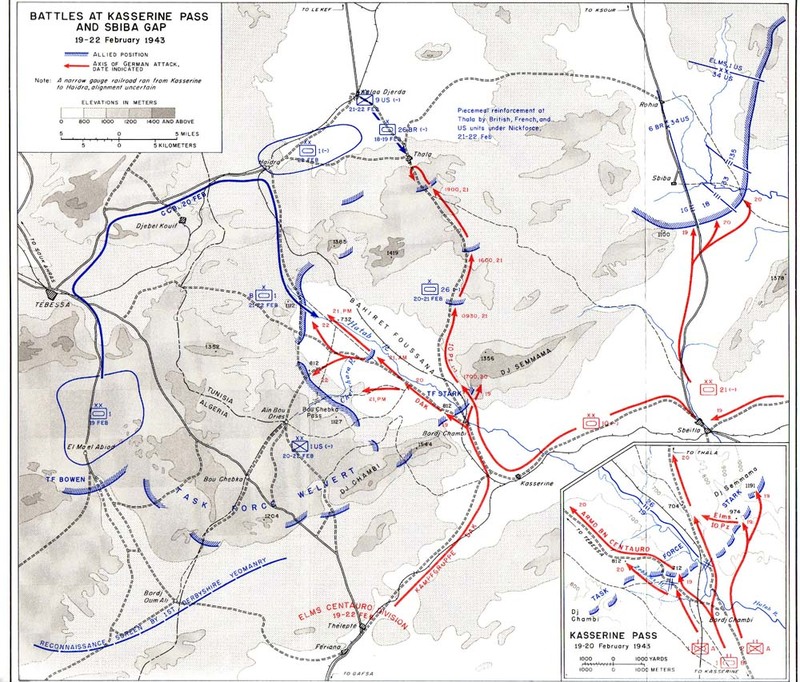 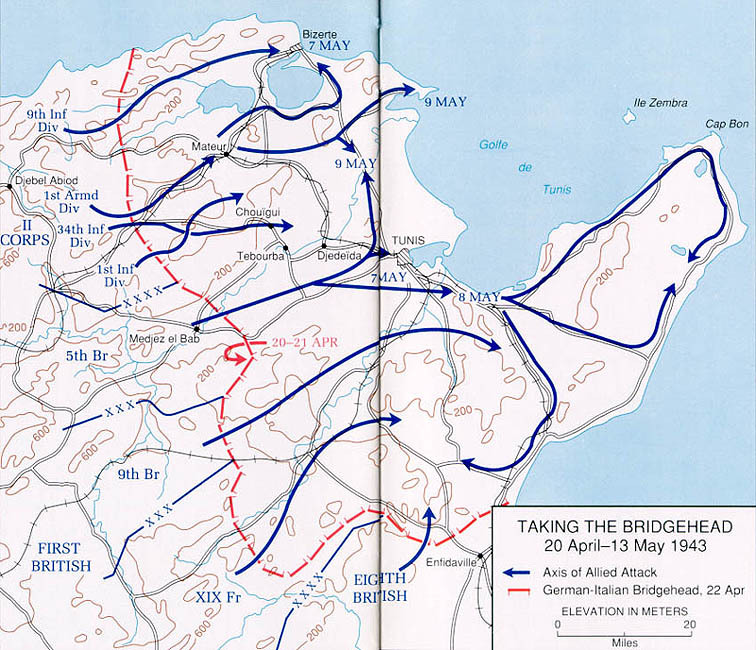 The battle opened with initial success by the German and Italian forces, but the massive supply and numerical superiority of the Allies led to the Axis’ complete defeat. 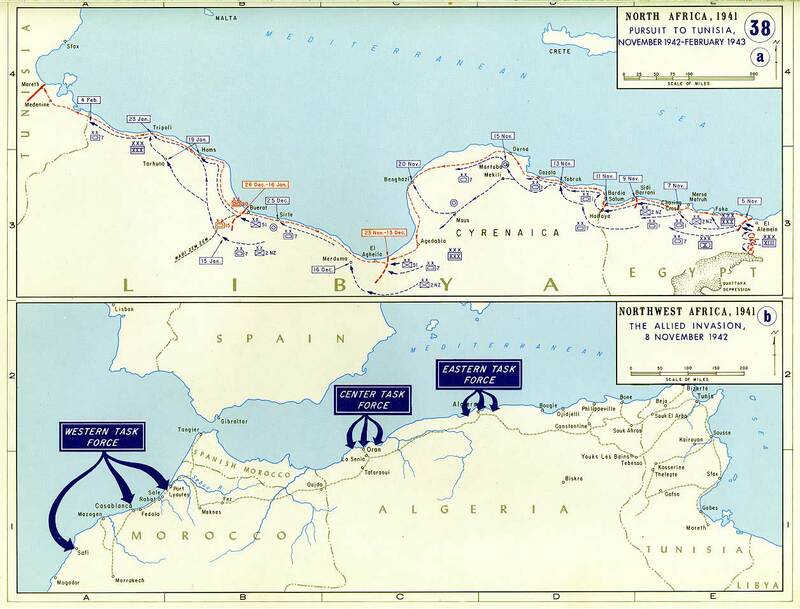 Over 230,000 German and Italian troops were taken as prisoners of war, including most of the Afrika Korps.